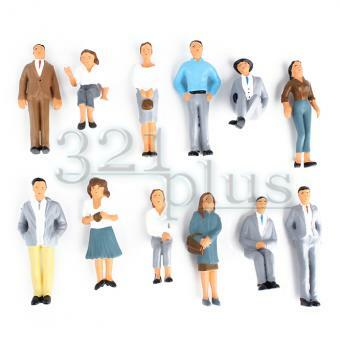 1:24 Scale Figures People | Painted Set of 12pcs. Set of 1:24 scale figures people in sitting & standing postures. Hand painted model train scenery supplies to decorate & populate your 1:24 miniature landscapes. 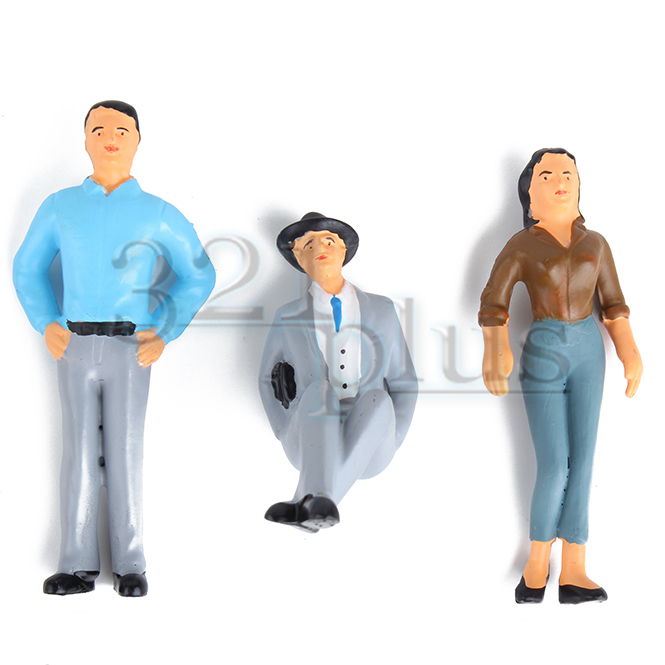 These male & female 1/24 scale figures are made of plastic & are painted in multiple colors. • This offer contains 1 set of the pictured items. • Item Scale: 1:24 Scale , G.
What is the meaning of: G ? • Item Size: Length: 30 mm (1.17 inch). Height: 76 mm (2.964 inch). Width: 13 mm (0.507 inch). • You pay only 1.50 USD for your shopping cart + 1.00 USD for each additional item in this shipping category. • 12 pcs. 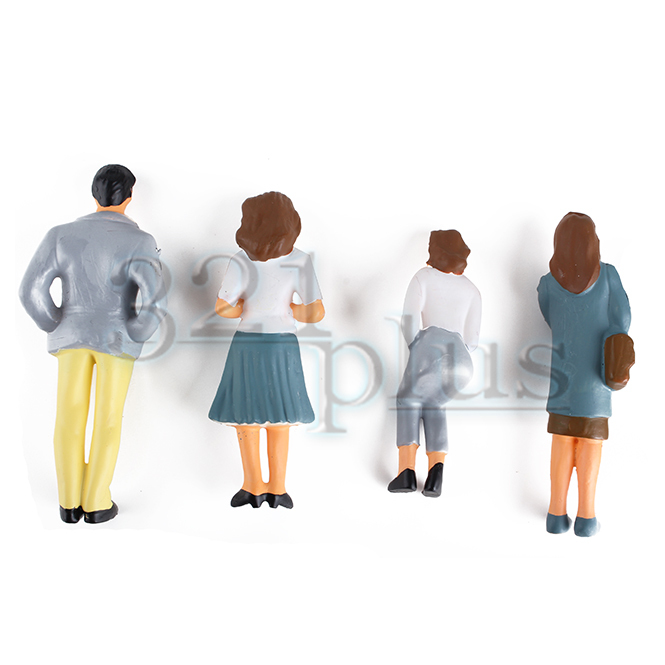 of 1:24 scale figures & people in sitting and standing postures. 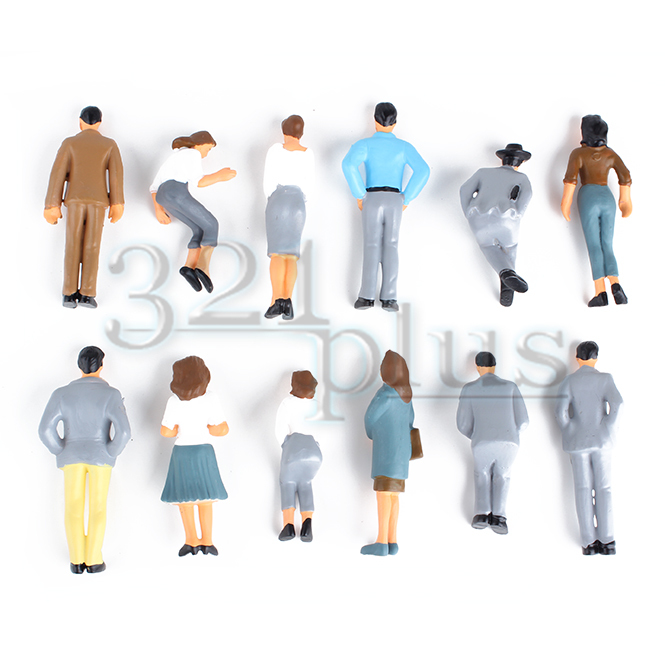 This set from 321plus is for 1:24 scale model figures & architecture people in sitting and standing postures. The highest 1:24 people in a sitting posture has a height of 61mm. The highest standing male figure has a height of 76mm. The female 1/24 scale figures in this set are a little bit shorter than the sitting and standing men figures. Each of these very detailed tiny plastic figures have black painted eyes and eye brows. Each of these 1:24 people has red colored lips and multi color painted clothes. 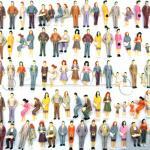 This set contains 12 of the here pictured 1:24 people which are fully painted in multiple colors and are ready to be placed on your G gauge or H gauge miniature landscapes or passenger cars. These plastic 1:24 miniatures come fully done and are having tiny details like a tie, a belt, a hand bag or a hat. The color mixture of these fully painted 1:24 scale figures & people makes these model train scenery supplies perfect for any office or modern city related scenery. This set has 6 male and 6 female 1/24 scale figures from which 4 are having sitting postures and the remaining 8 figures have standing postures. These 1:22 or 1:24 scale miniatures are just the right miniature accessory if you want to increase the realistic feel of your G gauge or H gauge model train sets.